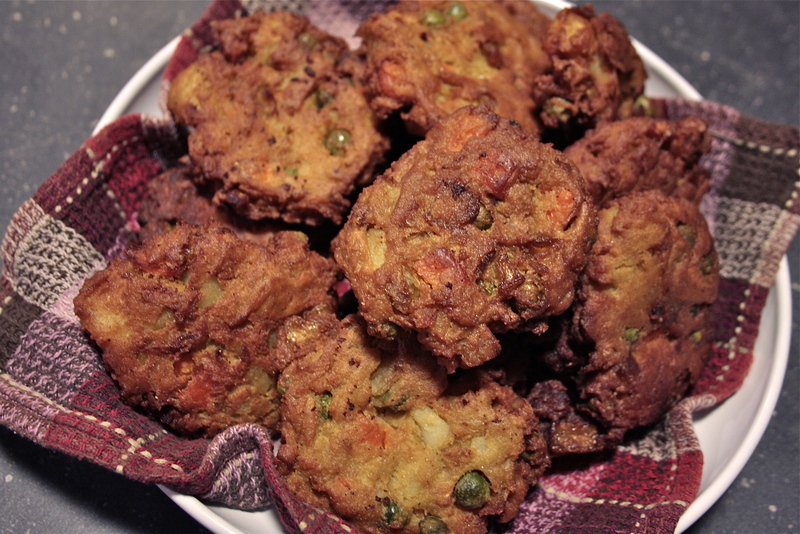 pakora perfection | eating with S.O.L.E. In a large bowl combine 1.5 cups of chickpea flour with: 1 tbsp sea salt, 1 tbsp tumeric, 1 tsp curry, 1 tsp cayanne, 1 tsp garam masala, 1 tsp cumin. Blend. Mix in 1 cup of warm water, and stir until you have a sticky mix, you can add a little extra water if you need, but you don’t want the dough too wet. Add in cooked potatoes, carrots and onions along with about 1/2 cup of peas. Mix well. Allow batter to sit at roof temperate for a while before forming into flat-ish patties. Your mixture should be easy to sculpt and stay nicely bound together when handled. 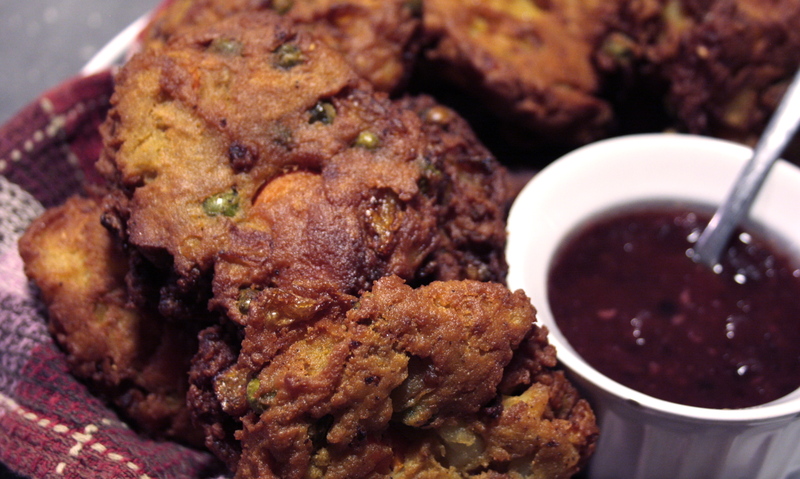 Deep fry pakoras until deep golden brown, drip, cool, and serve with community chutney. I am so excited to try these later this week! You don’t by any chance have a recipe for samosa wraps do you? I can get the filling right but have thus far been disappointed with the wraps. No samosa wrapper recipe I am afraid, however my friend keeps telling me about her killer samosas, maybe I will get her recipe and see what I can swing! Funny you should coomment, I was just reading your blog post about your rocket mass heater 😦 bummer. Great upgrade with the blaze king princess though, that is what we are using now and it is so warm and lovely! It’s the best stove going IMHO. YEAH!!! so glad you enjoyed them! *thanks so much.